DPR has integrated with 22 MLSs and Realtor associations, allowing homeowners to find down payment assistance directly from a property listing. User services have also been expanded; homebuyers searching for programs will find a new results message that highlights the number of programs and maximum benefit possible based on the information they entered. As the housing market heats up and more potential buyers learn about down payment assistance resources that can help them purchase their first home, Down Payment Resource (DPR) has been busy partnering with multiple listing services, Realtor associations and mortgage lenders to better highlight these opportunities. The Atlanta-based company, which has a database of 2,300 different down payment assistance programs, is working with marketing and design firm 1000watt to alter its brand and messaging to better communicate these opportunities to buyers. DPR’s campaign, “We turn home searchers into homeowners,” leverages the relationships that mortgage and real estate professionals have with potential buyers to ensure they have access to grants, federal housing agency programs, delayed repayment loans, interest-free loans and other resources they may not have otherwise known existed. After partnering with the Colorado Association of Realtors and MLS PIN, the largest MLS in New England, DPR is now integrated into 22 MLSs and Realtor associations — giving about a third of National Association of Realtors members access to the service and allowing consumers to find down payment assistance in a property listing. DPR’s “Find help” MLS-integrated tool. Lenders are also showing increased interest in DPR’s service now that mortgage originations have transitioned to a predominantly purchase-money market, DPR said. Among DPR’s lender clients are Bank of America, Mountain West Financial, MB Financial Bank, South Pacific Financial Corp. and On Q Financial. Fannie Mae is also linking to DPR on both its lender and consumer resource Web pages and using DPR’s research in its new 97 percent LTV Options Consumer Outreach materials for lender partners. Aside from forming these new partnerships, DPR is also expanding its user services. Homebuyers searching for programs will find a new results message that highlights the number of programs and maximum benefit possible based on the information they entered. 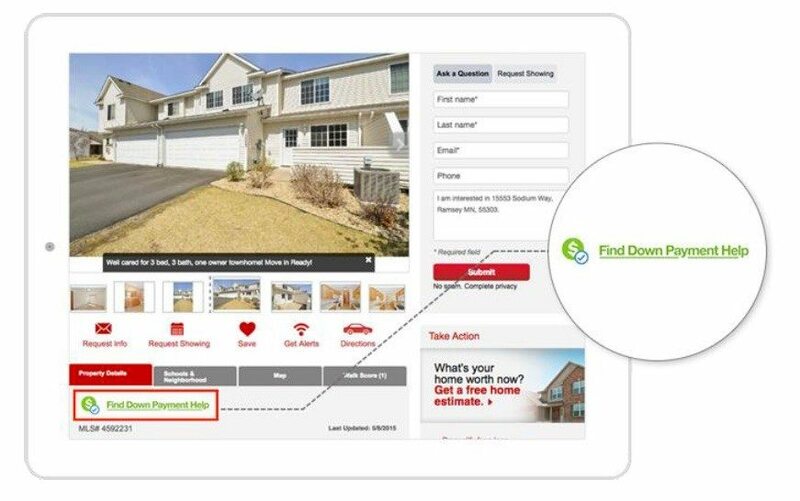 DPR has also launched more intuitive icons and messages that display on eligible property listings for its MLS partners. According to the company, the latter new feature has increased the average clicks-to-leads ratio from 7 percent to 10 percent. DPR won Inman’s “Most Innovative New Technology” Innovator Award in 2011.